of Timbercreek Veterinary Hospital, PC. Dr. Tom Schell is a graduate of The Ohio State University as well as being board certified by the American Board of Veterinary Practitioners in Equine Practice. He is also certified by the College of Integrative Veterinary Therapy in Chinese herbal medicine. Dr. Schell, dedicated his life and practice to treating dogs, cats and horses surgically and medicinally with a constant growing knowledge of the latest treatments and therapies available. A successful doctor, he continually studies the latest journals and case studies in order to stay in front of the growing trends of veterinary medicine. In 2006 Dr. Schell found himself battling a life changing event as he was diagnosed with cancer. Dr. Schell was familiar with stories of people who had undergone radiation and chemotherapy for different types of cancers but had never understood the full scope of what they had experienced. The removal of the tumor was successful but the chemotherapy injection had many side effects that were extremely uncomfortable. This pushed Dr. Schell to research alternative medicines, theories, and ideas to help him in his fight against cancer. Shortly after this event, a Golden Retriever patient of Dr. Schell’s named ‘Rocky’ was diagnosed with histiocytic sarcoma that had spread to his liver, spleen and intestines and was given 30 days to live. The chemotherapy recommended was an oral drug that the oncologist prescribed. Knowing the negative side effects of chemotherapy and other cancer drugs, Rocky’s owner started her own research for alternative supplementation and discovered a mushroom supplement that boosts the immune system. Dr. Schell began to investigate this mushroom combination and found, contrary to what he had previously believed, this approach had merit. He was able to observe Rocky’s response to the chemotherapy and the mushroom supplement and saw that Rocky had a positive response. 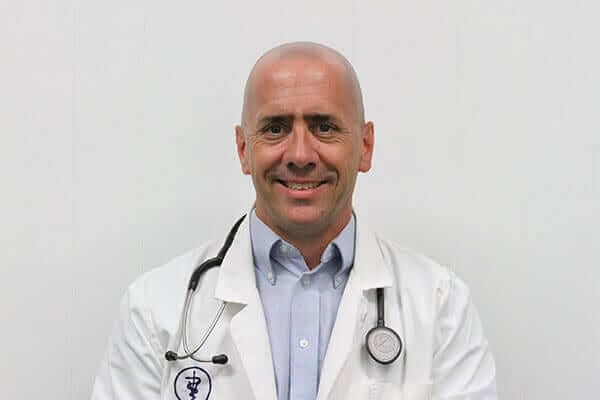 Dr. Schell’s personal experience in conjunction with Rocky’s started his mind thinking, “What if?” What if there was a successful alternative treatment to boost the immune system and reduce inflammation, something that will promote health instead of destroying healthy cells along with the diseased ones? The questions began to take a permanent residence inside Dr. Schell’s mind, but he still had to find whatever answers were out there. Meanwhile, he continued to practice veterinary medicine and study the latest developing theories. His extensive research finally led him to the conclusion that while he may not find the one cause of cancer, he has certainly found an element involved that is also one of the most common conditions in a living body. That condition is inflammation. Curiously enough, inflammation seems to be found in most chronic illnesses and diseases. For instance, arthritis is a painful condition where the joints are constantly inflamed causing damage to the joint tissue thereby causing pain and further deterioration. COPD is another condition that is affected by inflammation that makes breathing difficult. For just about every condition that involves some type of pain, inflammation can be found and why are these inflammatory conditions still prevalent? During his research, he found a study targeting cancer and inflammation using an herb called curcumin. This study was conducted by a human doctor at the MD Anderson Cancer Center and had posted positive results. Dr. Schell contacted the doctor and began to communicate with him the theories and findings. Their discussions led Dr. Schell to the conclusion that curcumin may indeed be a successful anti-inflammatory that can be used in different conditions. He decided to conduct a small study with his equine and small animal patients with chronic inflammatory conditions, like arthritis, using the laboratory at MD Anderson Cancer Research Center, located in Houston, TX for his testing. With the main goal of evaluating the impact of various herbs on the production of inflammatory mediators in the equine joint afflicted with arthritis. The results of the initial trial were encouraging and thus led to a more lengthy trial which was conducted in 2008 on a larger number of patients. His research didn’t stop there; he knew he had something to offer his equine patients as he continued his studies. Each patient came back with positive results and he continued to document each case. When the clients started asking him about their arthritic dogs, he decided to try a different formulation that was designed to help small animals with their inflammation. After multiple patients had success with this new formula, Dr. Schell decided to develop this formulation for retail. Dr. Schell continues to research and make the best choices available for patients who are troubled with inflammatory issues. His belief in alternative therapies has grown over the years as he sees the improvement of his own health due to proper nutrition, exercise and supplementation. Education is the key for everyone to benefit from this theory, knowing what our bodies need and how to give it to them. A good start is by supplementing the body with Cur-OST® then making sure the right nutrition and exercise is given every day. Our goal is to investigate natural supplements that may produce similar results clinically without the unnecessary expense or potential health consequences of pharmaceutical products. The whole goal with the approach is to restore health, as health is an absence of disease and injury. Through targeted herbs and nutritional support, the possibilities are endless! I would love to converse with you about the use of turmeric on horses and a couple life altering instances using the substance.